Accomplished entrepreneur, author, speaker, and high school football coach. IS AMERICAN FOOTBALL SAFE ENOUGH FOR OUR KIDS TO PLAY? Did you know that not all concussions are the same? Can playing flag football actually improve your tackling skills? Are there better alternatives to Big Time college football? Is a professional football career in the NFL worth it? This book answers these difficult questions and many more. 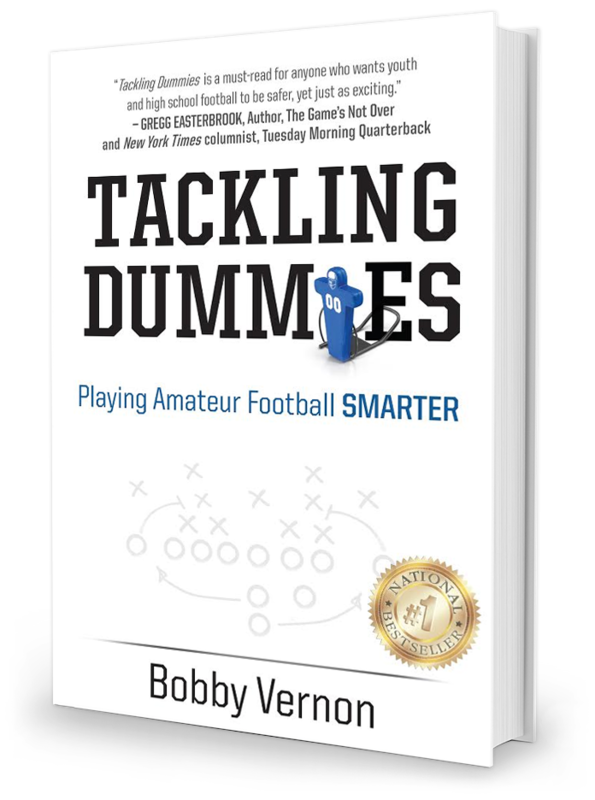 Written by a successful businessman, father, and high school coach with nearly twenty years of experience playing and coaching football, Tackling Dummies provides both an objective and insider’s look at the game, shining a clear and sometimes uncomfortable light on the key problems with the sport and culture of amateur football. Both technical and common sense solutions are provided in a simple and easy-to-understand way, which will help all players and coaches perform better, play safer, and have more fun.